We love space stories here at Xyza! 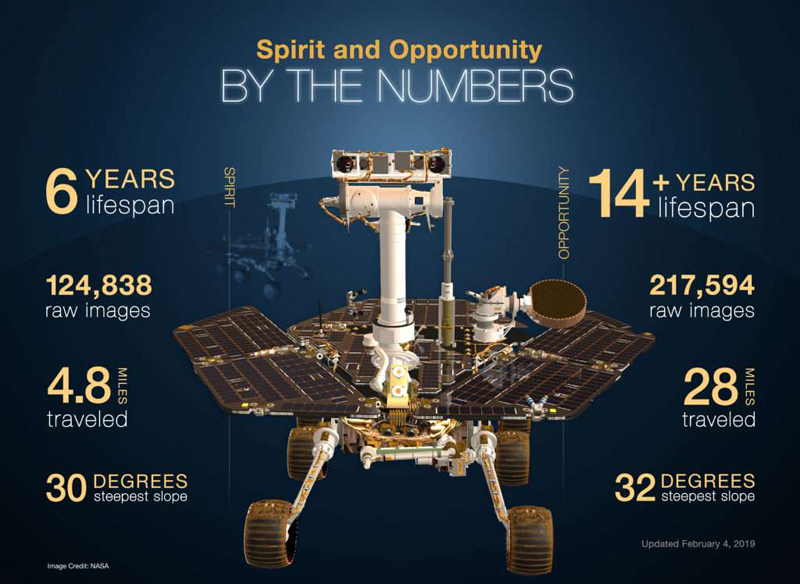 This week, we’re talking about Opportunity, the space rover that hadn’t called home since June 2018! As with all good stories, this one began with an adventurous mission. In 2004, Opportunity landed on Mars for a three-month mission to travel about a thousand yards and check out the surface of the planet. This story says a lot about how cautious NASA scientists are when they send rovers into space. You see, Mars is a dusty planet, and they figured that with the multitude of sandstorms there, Opportunity would surely be choked up from all that sand within three months. But the one thing they did not expect? 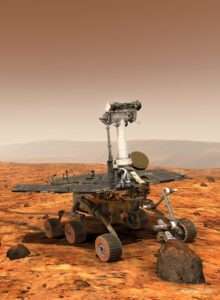 Winds that blew away the sand from the surface of Opportunity, thus allowing the solar panels to be reenergized, putting the rover back into action. What else didn’t the scientists count on? The battery, of course, which was able to recharge roughly five thousand times during Opportunity’s fourteen years, giving it enough power to do way more work than they had originally anticipated. But wait—how do you declare a rover dead? A historical dust storm in June 2018 blew sand into many parts of the rover, making it hard for the robot to recharge. So Opportunity stopped sending signals. On February 12th, 2019, NASA reached out one last time to see if Opportunity was alive before declaring it officially dead. But fear not! Another little rover named Curiosity has been roaming around Mars, powered by nuclear power instead of solar power, and has been regularly sending photos.